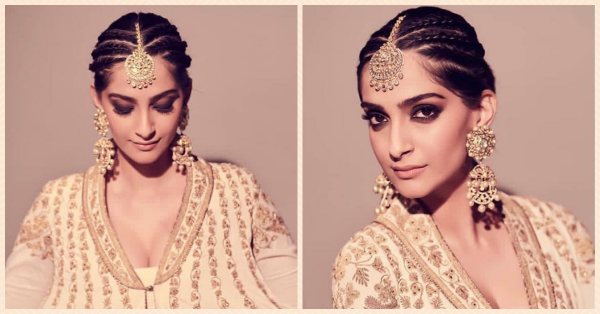 From A Lehenga To An LBD: Sonam's Matte Smokey Eyes Are Perfect For Your Bestie's Wedding! Wedding makeup looks are probably the trickiest to perfect. With the multiple outfit changes and back to back to back functions, your makeup looks might take a back seat. 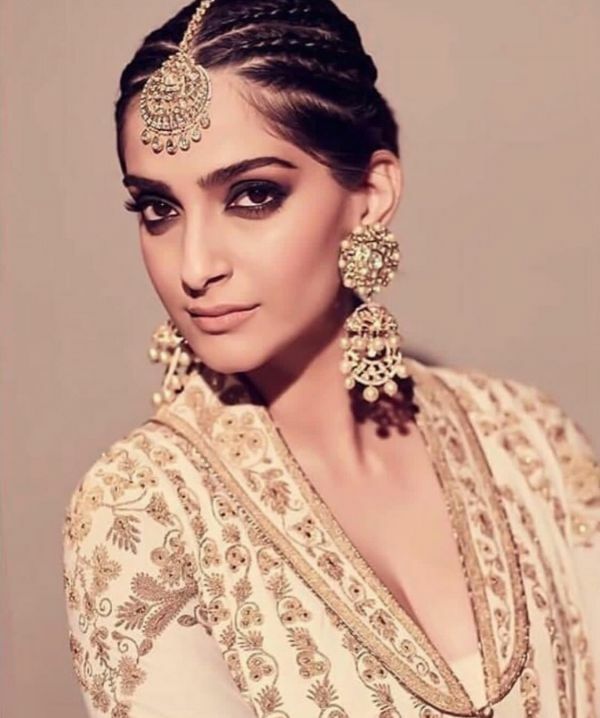 We've found you the perfect (Sonam Kapoor inspired) makeup look you can take from a lehenga to an LBD in a hot minute. No touchups and no makeup changes required! This is Sonam's matte smokey eye, it's anything but ordinary, isn't it? Don't worry we're going to tell you exactly how you can get the look! Sonam was attending a friends wedding in Goa and her look was an easy choice, especially if you've got to transition from day to night. A matte smokey eye looks great with most outfits, throw in some braids and buns and you'll be ready to take on the day in style. And with a hair and makeup look that's so versatile, you can easily transition from day to night without having to worry about switching out your makeup. To make it seem like you've changed your look, let your hair down at night and change your lipstick colour. Let the braids be, they're going to make for some wonderful pictures. I bet you're thinking about how to get the look? Here are two quick and easy hair and makeup tutorials to help you doll up! The Makeup Revolution Fortune Favours The Brave Eyeshadow Palette (Rs 1,950) is perfect for all your eye makeup looks.